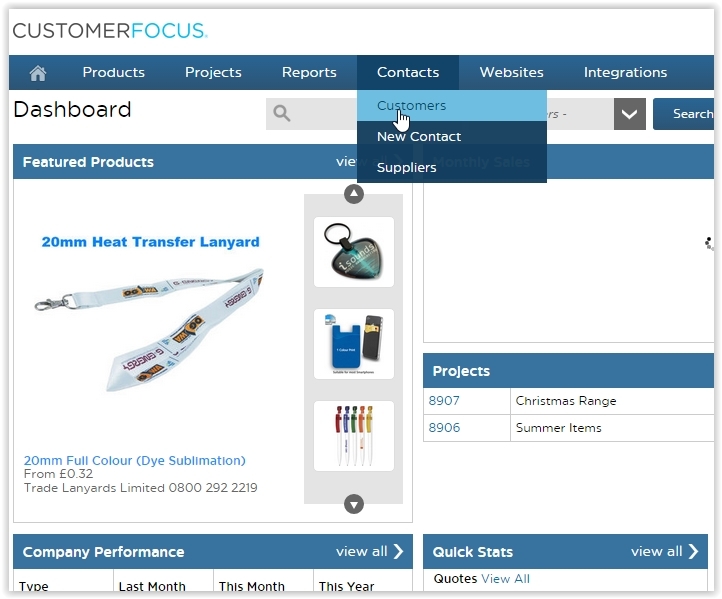 Step 1: From your Dashboard, click on Customers from the Contacts tab. 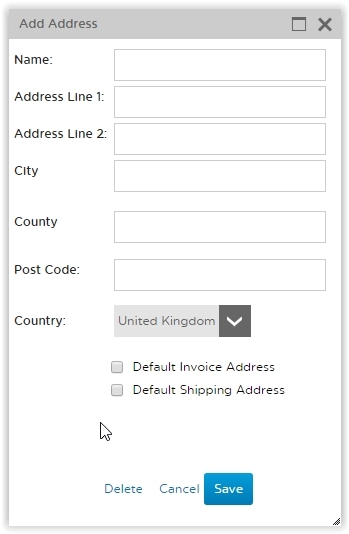 Step 2: Click on the customer you wish to add an address. Step 3: Click on Additional Addresses. 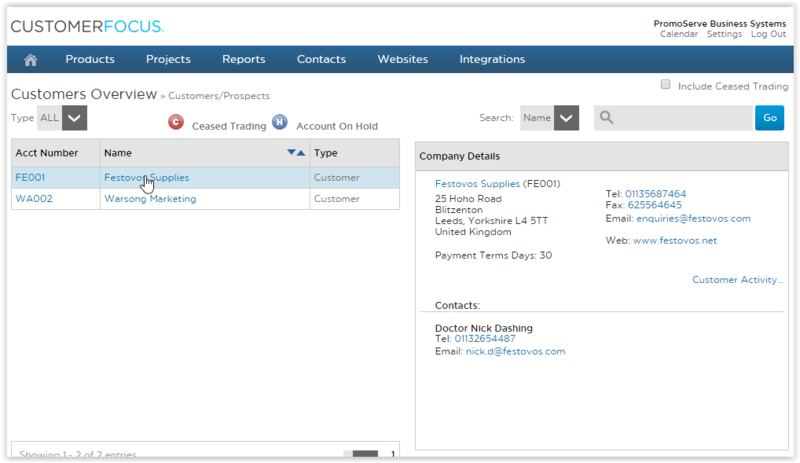 Step 4: Once you have opened Company Info, click on Add Another Address under Alternate Addresses. Step 5: A box will pop up where you can add the address. Click Save when you are done. 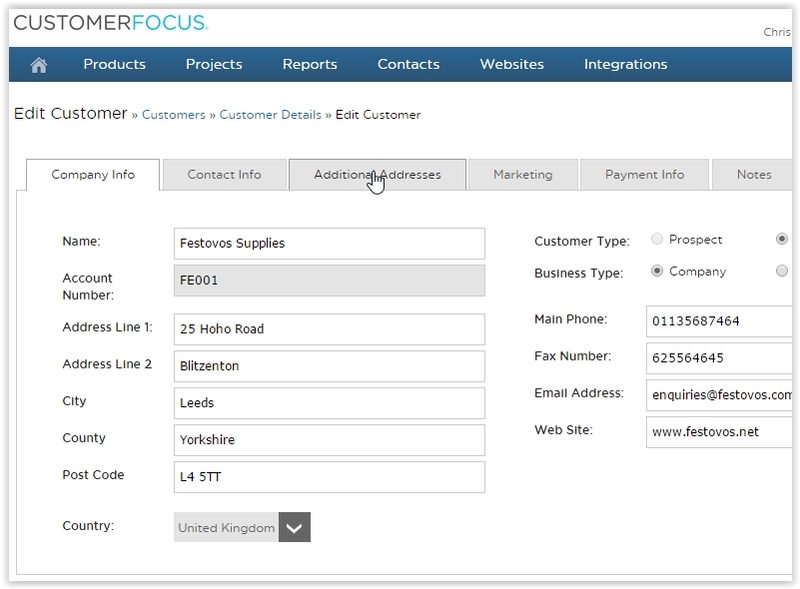 Step 6: Once it is saved, you will be able to see the new address under the Alternate Addresses field.